Intl Belt and Rubber was founded in 1989 by Bill Andre and Bert Evans. Before this venture Bill Andre was a sales representative for Engineered Products, a division of Goodyear Tire & Rubber Company. There he developed an extensive background of the Goodyear Engineered Products Line. He also gained vast knowledge of the Industry and its needs. Bert Evans previously worked for Western Belt and Supply and International Sales, which were both distributors for Goodyear. Their combine knowledge of the industry and product lines made for a good foundation in forming International Belt & Rubber Supply. This newly created company would include key personnel from both Western Belt and International Sales. These employees came aboard with excellent knowledge of the products and knowledge of the industry they served. This enabled them to work with a high degree of confidence ensuring a job done right. International Belt & Rubber Supply is a distributor for several high-end manufacturers; Goodyear, Flexaust, Snap-tite, PT Coupling and Soltron to name a few. 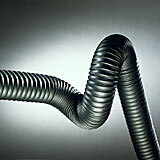 Some of the primary product lines are Goodyear Conveyor Belting and Industrial Hose.